Gynecomastia is a common condition impacting roughly half of the male population. It results in the development of excessive male breast tissue. If you experience gynecomastia and feel self-conscious about the condition, you may benefit from a male breast reduction procedure. While some men can resume all normal activities within a few weeks, others require more time healing before they can work out again. Dr. Lee will monitor your recovery carefully and advise you as to when you can incorporate different exercises back into your routine. 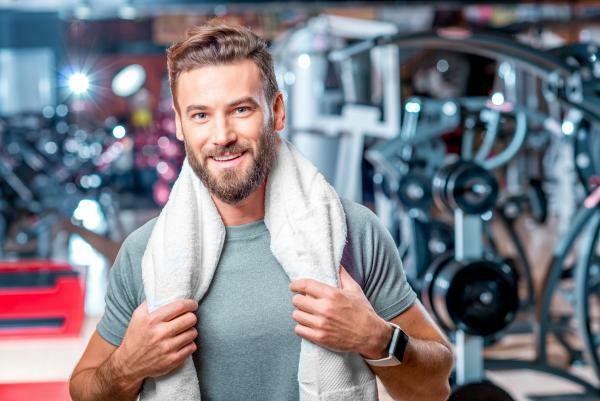 However, the following guidelines will give you a sense of what you can expect regarding working out after gynecomastia surgery. Dr. Lee encourages you to resume light walking as soon as you feel up to it. This will help facilitate proper blood flow and reduce the risk of blood clots. During the first week or two of recovery, you should limit your exertion to light walking. Dr. Lee will let you know when you can start resuming other routine activities, including returning to work. In most instances, you should be able to go back to work after 1-2 weeks. As you begin to heal, Dr. Lee will allow you to gradually ramp up your exercise efforts. However, you will need to be patient during this early phase of your recovery. Resuming your workout routine before you are sufficiently healed can adversely impact your results and increase your risk of complications. Working out and living an active lifestyle is one of the most effective ways to maintain your results after gynecomastia surgery. Dr. Lee encourages all of his male breast reduction patients to exercise regularly once they are sufficiently healed. You should be able to resume exercise after about one month. As you return to the gym, you will need to limit the scope of your workout to cardio exercises and other activities that don’t interfere with the healing process. It’s crucial that you refrain from chest and arm workouts until you are fully healed. This generally occurs after about six weeks. Once you are cleared to resume chest and arm exercises, you should start out using machines instead of free weights. Your body won’t be as strong as it was prior to surgery, which means you will be more prone to injury. Machines provide a more controlled workout which will help reduce your risk of injury. After your strength has returned to its pre-surgery levels, you will be able to incorporate free weights back into your workout routine. If you would like to learn more about male breast reduction surgery, please contact Dr. Richard Lee using the form on this page or call 949-548-9312 today to schedule a free consultation. We serve patients in Newport Beach, Irvine, Santa Ana and throughout Orange County, California.